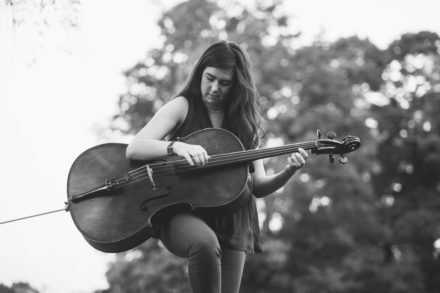 Miller Susens is an energetic and passionate cellist and music teacher hailing from Dallas, TX. While she specializes in string pedagogy and technique, she also has a background in chamber and orchestral string playing, as well as four years of private teaching experience. While pursuing a Bachelor’s Degree in Music Education from the Indiana University Jacobs School of Music, Miller worked for Bloomington’s premier music store, Melody Music Shop, where she taught beginner to intermediate violin, viola, and cello, as well as violin through the Fairview Violin Project. In the summers, she was also a camp counselor for the Indiana University Summer String Academy. Miller student taught at North Central High School in Indianapolis, IN in the spring of 2018, where she garnered experience teaching high school orchestra in the K-12 sector. Miller’s efforts as a string instrumentalist are focused in pedagogy and technique in order to make string playing fun, painless, and tailored to her students’ learning needs. She actively collects and annotates technique books and reads research on innovative ways to practice and learn music. You can read more about her teaching philosophy at www.millersusens.com.